The general thinking says that Apple may have purchased Beats partially for its music subscription service, but the product was certainly not the main reason why the massive $3 billion deal has been made. The proof is in the numbers. 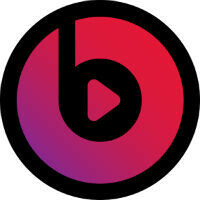 Beats Music only launched three months ago, and in that time, it has built up a subscriber base of 250,000 users. The information came from Beats co-founder Jimmy Iovine during the Re/Code Code Conference last night, the same time as Iovine essentially said that Apple headphones are crap. Industry analysts had recently estimated that Beats Music had 200,000 subscribers, which seems close enough to the truth, but the more telling bit of analysis was that the vast majority of those subscribers have come from Beats' deal with AT&T. Beats hasn't been able to build much of an audience outside of that partnership, which could hint at why (aside from the $3 billion) Beats decided it was a good idea to sell to Apple. Apple has a marketing army, and a huge customer base already established in iTunes and the iPhone, so it should be an easy pitch to get those users to give Beats Music a try. Apple has yet to talk much about the plans, but we have already seen the trial period for Beats Music extended, which could help capture more subscribers. Of course, there is still a long way to go before catching the current market leader, Spotify, which has 40 million active users and about 10 million paid subscribers. It'll reach a million by the end of next month, easily. Wouldn't be surprised to see it hit 10 million by the end of the summer. Maybe half, but definitely not a million. Because Beats is now "magical". I'm holding off on subscribing to Beats Music, because I'm caught between Spotify, Rdio & Google Play Music All Access. apple should make a deal with spotify or buy it.. I don't think so. Spotify has been around for 6 years compared to 3 months for beats. Apple obviously is not worried about subscribers in this deal as far as compared with Spotify. Apple is now backing this young music service and it's on all platforms. That's the big thing about this deal to me. I think Apple will find a way to integrate iTunes into beat music. This will allow people to continue to use iTunes on other platforms. "apple should make a deal with spotify or buy it.." For the love of music, hell no.